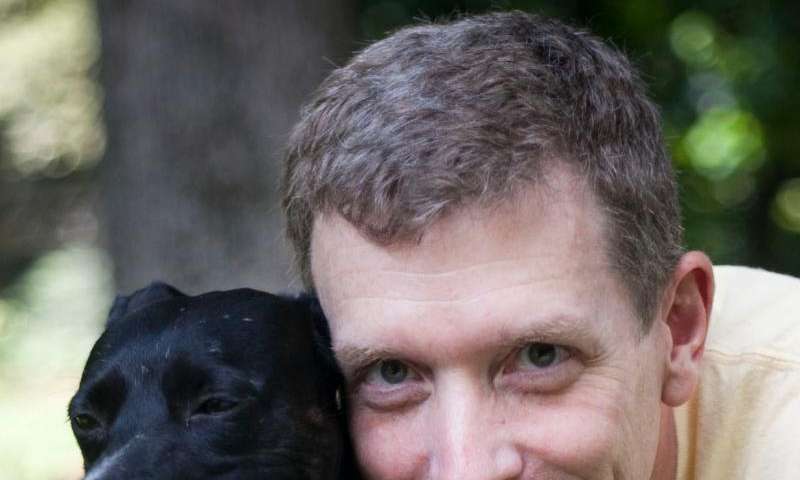 Five years ago, Emory neuroscientist Gregory Berns became the first to capture images of actual canine thought processes. To explore the minds of the oldest domesticated species, the Berns lab trained dogs to remain still and alert while undergoing functional Magnetic Resonance Imaging (fMRI)—the same tool that is unlocking secrets of the human brain. The project opened a new door into canine cognition and social cognition of other species. Berns went on to conduct a series of experiments on dogs, gathering both behavioral and fMRI data on questions such as: How capable are dogs of self-restraint? Do dogs prefer praise from their owners or food? How do dogs process faces in their brains? What's going on in a dog's brain when it smells the scent of its owner? In 2013, Berns wrote a New York Times bestseller called "How Dogs Love Us." He described how the death of his beloved pug Newton planted the seeds for his eventual switch from the studying the human brain to focus on non-invasive studies of the cognition of dogs and other animals. In the following Q&A, Berns talks about his new book, What It's Like to Be a Dog: And Other Adventures in Animal Neuroscience, just published by Basic Books. The book focuses on his hopes that understanding how animals think will revolution how we treat them. Question: Can you talk about all the dogs you've had as pets during your life? Gregory Berns: When I was a child growing up in Southern California we had two golden retrievers, Pretzel and Popcorn. It's embarrassing, but my parents always named their dogs after food. I'm not sure why. Most of the children in the area had dogs and horses and we would go traipsing around the hills. Kids and dogs go together. After I was done with medical school and stopped moving around, my wife and I had three pugs, Simon, Newton and Dexter, and then a golden retriever, Lyra. We now live with our two daughters and have three dogs: Callie, a Feist, which is a Southern squirrel hunting dog; Cato, a Plott hound, which is the state dog of North Carolina; and Argo, a yellow dog of some kind of mix. We also have two bearded dragons and a chameleon. I can't imagine not living with dogs. That would be really sad for me. Q: "What It's Like to Be a Dog" describes all the experimental work you have done so far with canine cognition. What's the biggest surprise to come out of your research? GB: If you take language out of the picture, what we're finding is that we see a lot of similarities between dogs and humans. In one study, for instance, we used fMRI to measure the relative value of food versus praise to the dogs and found that almost all the dogs' brains responded to praise as much, and sometimes more, than to food. We ourselves know how it feels when someone praises us, there's a positive feeling associated with it. That's perhaps similar to what dogs are feeling. We also did a study on dogs and delayed gratification. We found that part of the prefrontal cortex is more active in dogs during self-control. And, just like experiments with humans have found, we showed that the dogs who are better at this task use more of their prefrontal lobes. Now that we are gaining a basic understanding of canine cognition, we are starting to focus more on the individuality of dogs—what it's like to be this dog, as opposed to that dog. Q: You're also using diffusion tensor imaging (DTI) to study the brains of other mammals, mapping the neural pathways in brains from animals that are long deceased and stored in museum collections. How did this project come about? GB: It started in 2015 when we gained access to the brains of two dolphins that had died, and we showed that we could use DTI to map their sensory and motor systems. Dolphins are incredibly intelligent, social animals but they've remained relatively mysterious. We provided the first picture of the entire dolphin brain and all the white matter connections inside of it. This year, we reconstructed the brain architecture and neural networks of the extinct Tasmanian tiger, also known as a thylacine, using two brain specimens from museums, both of which were about 100 years old. Through a project I call the Brain Ark we're collecting a digital archive of high-resolution, three-dimensional brain structures of megafauna. It's publicly available to other researchers to contribute to and draw data from. Q: What is the ultimate goal of your animal neuroscience research? GB: The Brain Ark is an attempt to catalog and study brains of large mammal species before they are gone. Or, as in the case of the Tasmanian tiger, after they're gone. Many megafauna are in danger of extinction because their habitats are being chopped up in ways that don't allow them to sustain themselves or to migrate. In the grand scheme of things, I'd also like to explore the commonalities that we have with other animals. That has important ethical implications for how we treat them and for their right to exist in the first place. Animal welfare laws cover things like abuse—pain and suffering. I think we should go beyond that and acknowledge that animals also have a right to lead a good life—whatever that means for that animal.